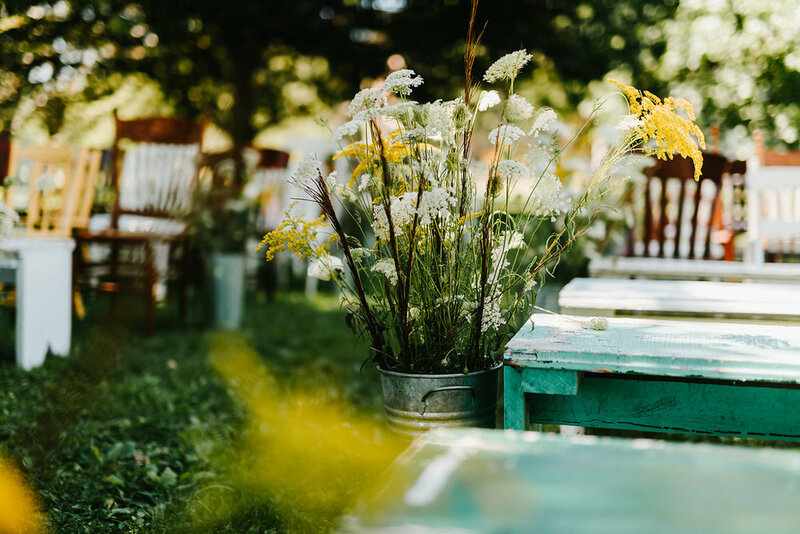 We're so honored to showcase one of the most beautiful weddings we've been a part of Melissa and Jesse were such a blast to work with for the day of coordination of their wedding on August 1st. I was already excited after the first meeting when Jesse mentioned he worked at a nursery and will be doing a lot of their own flowers. Then after the first visit to the Rodale Institute, I knew not only was it going to be laid back and wonderful, but absolutely stunning. Below, is our proof. Be sure to check out the list of incredible vendors we had the privilege to work with below as well. All other flowers donated by the workplace of the groom.